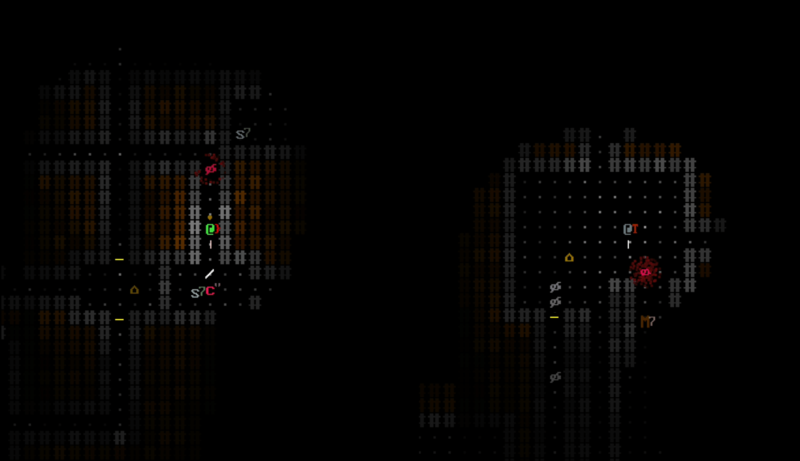 This time the spotlight will be shining on Hengelight, an ASCII RPG straight out of yesteryear. Let’s help it escape the cold, lonely emptiness of Greenlight limbo! Hengelight is set on an island alone in a world with no sun. The light comes from magical henges few and far between. Areas of ever-present darkness lie between the safety of the henges, and travel between them is dangerous. The darkness harbors vicious creatures, cultist light-haters, and evil itself. Even in the light, the world is far from hospitable. Being ambushed by highwaymen, attacked by a wolf, starving to death, or getting lost in a dungeon are all-too-real dangers. Nothing like some old-fashioned gloom and doom, I always say. Procedurally generated dungeon-crawler? Even better. ASCII? Now we’re talking, and even better – it’s in real-time. Definitely liking this already. Well, maybe not so much the whole ‘light and dark’ thing, but eh, can’t win ’em all, ya know? Besides, given the scale of this particular world, there’s room for a few nitpicks. Plenty room. We are after all talking about a place full of consequential actions, ripe for adventure and glorious questing… in ASCII! Again: ASCII! Much too rare. So what if I might be blinded by nostalgic fondness for the likes of Rogue, Moria and Nethack? Ain’t gonna stop Hengelight from potential greatness after all. What? Oh quiet you. So riddle me this, dear reader: why is Hengelight still struggling to get through Greenlight? It’s not out just yet, save for a demo (scroll down). Even so, how about visiting its Greenlight page and handing over a ‘yes’ if you like what you see? Remember: your vote could make all the difference!